Our 14-Day Kindness Challenge just ended earlier this week! 😀 Once again, a big congratulations to all of you who have participated in the challenge in one form or another! 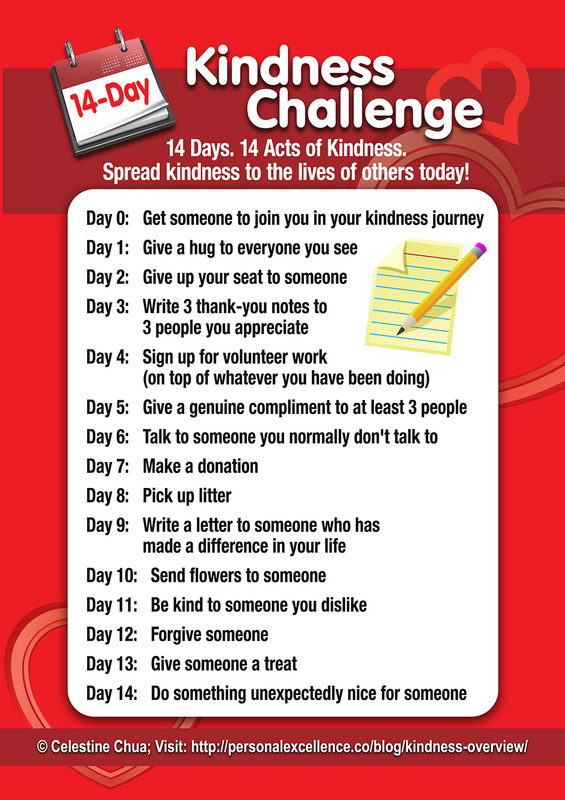 Visit Kindness Challenge Overview for all the kindness challenge tasks and posts.